The river has seen lots of bream around deeper holes and structures such as the Tewantin Marina and the boathouse. Bream eat just about anything, although prawns and chicken fillet have been producing the best results. When moving down the river more, the stretch from Tewantin to the boat house has seen some great whiting. Whiting tend to feed in the shallow water drop offs with live baits such as worms and prawns being key. There have been some ripper flathead caught around the river mouth this week. Soft plastics are the best form of fishing when targeting flathead although mullet will work also. Woods bay has seen some nice catches at dusk and dawn preferably on the top of the tide. The crabbing has been pretty good lately with the clean water present and the sand crabs around. If you’re looking at dropping a pot this week try in spots such as Lake Weyba and the Noosa Sound. The rain has now cleared and the weather is great with only some light winds, so soak up the sun and get out on the water. Whiting are on the chew, anywhere from Woods Bay to Tewantin Marina with live baits such as worms and prawns being the best. 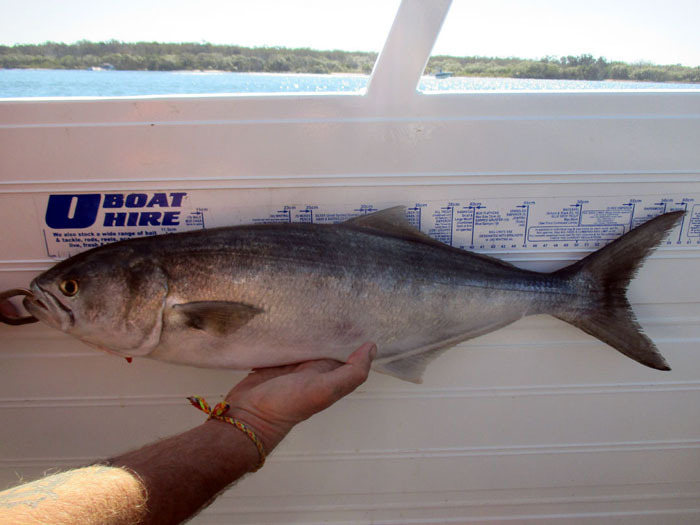 There has been reports of mangrove jack hanging around Woods Bay, with pilchards and mullet strips producing the best results. When targeting mangrove jack, you’re best to drop a line at dusk or dawn preferably on the high tide. Bream, as always are about in the Noosa River, mainly around structures and deeper holes such as the Sound Bridge. Soft plastics have been producing some great fish in the river, including flathead and all types of trevally. Flathead in particular like to hang around shallow water drop offs. The water is clear and the sand crabs are about in the top end of the river. The wind is up for now, however is supposed to drop off for father’s day. It’s a great weekend to get out on the boat and have a fish! Until next week good luck from the boys at O boats. This ripper tailor was caught toward the river mouth yesterday! Bream as always, are out and about around structures and sandbanks almost anywhere in the river. The best baits for targeting bream include prawns and yabbies. Whiting have been caught around sandbars near the dog beach. When targeting whiting, live baits such as worms and yabbies produce the best results. There has been tailor caught at dawn and dusk amongst the frying pan and Noosa River mouth. The best baits for tailor include mullet strips and pilchard fillets. Flathead have been on the chew in the Noosa River lately with soft plastics and prawns being the best baits. The best place to target flathead include sand flats anywhere from the dog beach all the way up to the cable ferry crossing past Tewantin. The cable ferry crossing area towards Makepeace Island has been a great spot to drop a line with rewarding reports. Around Lake Cooroibah there has been some trevally caught on live herring and prawns. The weather seems to be fairly sunny with slight chances of showers during the week. A fine weekend is forecasted. 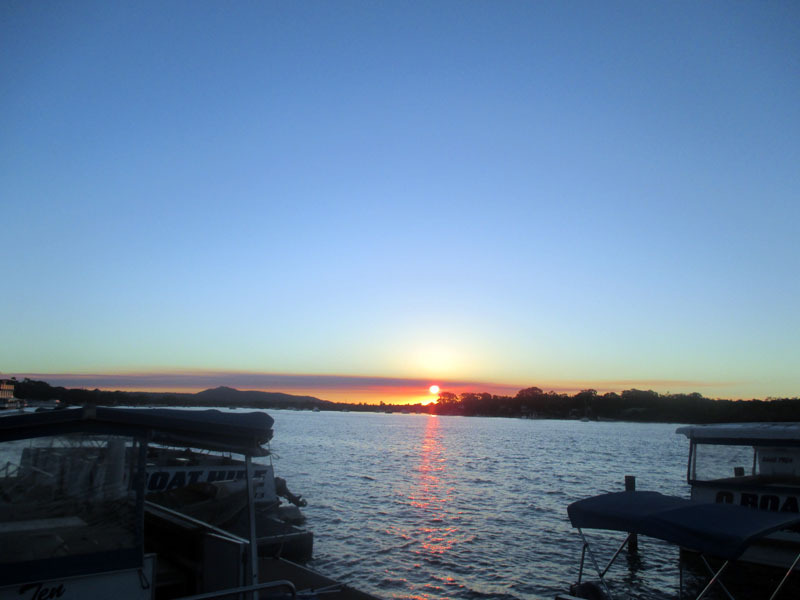 It’s a great time to venture out on the serene Noosa River! Some Cracker Shots Caught by a Customer! 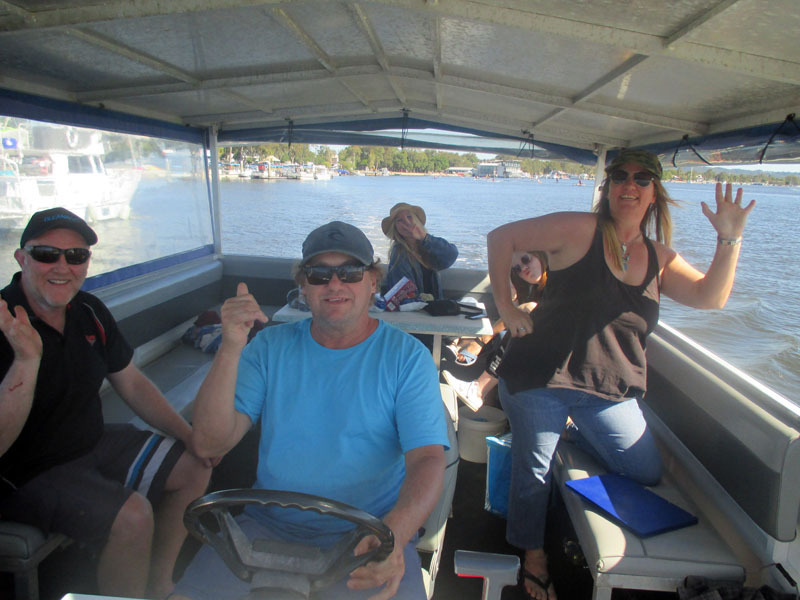 A regular customer enjoyed a great day out on the Noosa River with many laughs, beers and fish shared!